Отель Hotel Heritage находится в городе Ahmedabad. 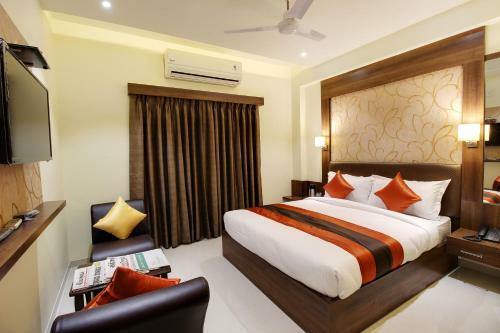 Offering a terrace and views of the city, Hotel Heritage is situated in Ahmedabad. Guests can enjoy the on-site restaurant. Free WiFi is offered and free private parking is available on site. Some rooms include a seating area for your convenience.